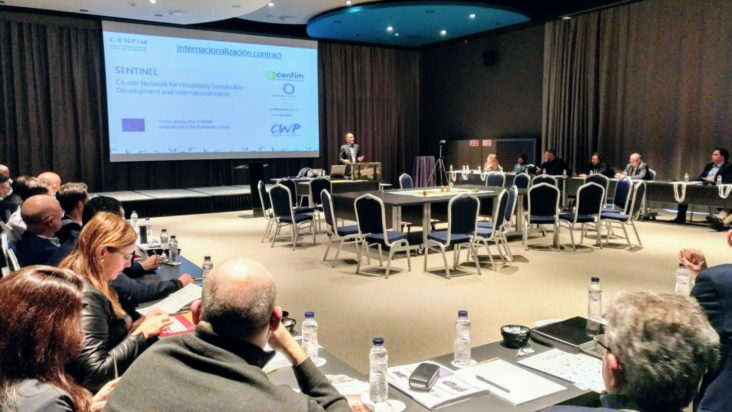 On March 1st, Joaquim Solana – Cluster Manager of CENFIM – presented the SENTINEL project within the framework of the strategic reflection days of the cluster, held in Castelldefels (Barcelona). The objective of this meeting was to strategize key ways to develop and relate companies and managers within the habitat and contract sector, as well as to inform about the opportunities in internationalization for the companies that operate in the contract-hospitality channel. During the session, topics covered included macroeconomic evolution, sectoral analysis and open business models, collaborative innovation, and new ways to travel and buy. Business executives shared their innovative marketing strategies with the 66 attendees.